Rose Ní Dhubhda teaches in Acadamh na hOllscolaíochta Gaeilge at the National University of Ireland, Galway. She holds a BA in Irish and Economics, a Higher Diploma in Computer Science and an MSc in Multimedia Technology from University College Cork. She also holds an MSc in Computing in Education. She was recently awarded a postgraduate certificate in Teaching and Learning in Higher Education from the National University of Ireland, Galway. She is currently undertaking a PhD in Education. Her research focuses on animated storytelling in the classroom. She is interested in subtitling, computer-assisted language learning, educational technologies, digital animation and storytelling. She is a member of Meta-Net, a network of excellence dedicated to fostering the technological foundations of a multilingual European information society. 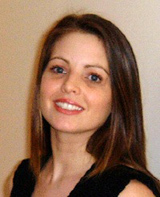 She is also a member of the ILTA (Irish Learning Technology Association) steering committee.